Having a good, reliable rifle scope is paramount to a successful hunt. When it comes to choosing the right scope, you want to find one that is suitable for your gun and is durable enough to withstand thousands of rounds of ammunition. It is also wise to consider low-light capability, magnification ranges, ease of adjustment and reliability. You want to ensure you are getting the best rifle scope for the money you are paying for it. In this guide, we will go over 8 different best rifle scopes under $500 and weigh the pros and cons of each of them. 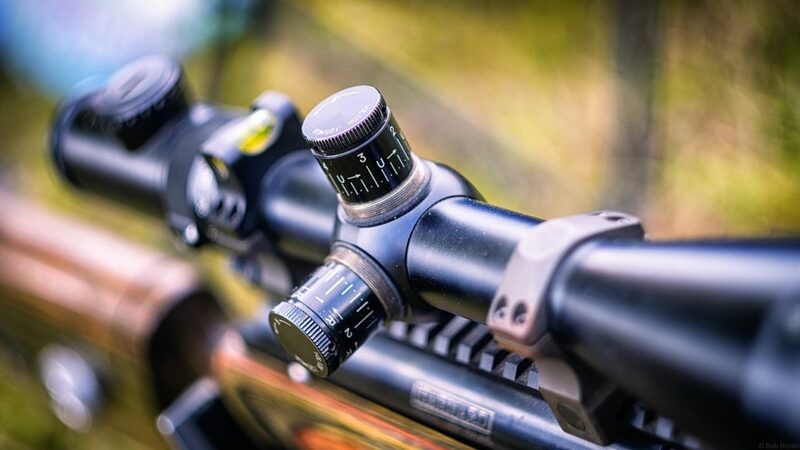 These are some of the highest rated and best selling rifle scopes of 2018. We hope that you find this guide helpful in your next purchase of a scope and wish you luck on your hunt! Overview: This Nikon riflescope features the Rapid Action Turret system, making this a great scope for distances anywhere between 100-600 yards. The multicoated options on this Nikon scope give you a bright, clear image and reduce reflection and glare. This scope is waterproof with a sleek, matte finish. This scope is designed to work with Nikon’s Spot on Ballistic Match Technology to make for an even greater experience. This Nikon scope also comes with a lifetime guarantee. Overview: The Vortex Crossfire II riflescope is a good choice for tactical shooting or hunting. It offers a long eye relief at 3.9 inches and comes with fully multicoated lenses for enhanced image quality. Focusing is a breeze with a fast-focus eyepiece. The Crossfire II is waterproof and fog proof so your focus remains steady and clear. It is designed with resettable 1/4 MOA turrets. This scope also comes with a lifetime warranty. Overview: This matte black Bushnell riflescope is equipped with fully multicoated HD lenses for image clarity. It offers DOA LR800 reticle and has a 30mm tube. This scope is both waterproof and fog proof for clear images under harsh conditions and is also shockproof for added protection and durability. It is designed with a fast-focus eyepiece and has 1/4 MOA adjustments. This scope allows for plenty of light to come in, making a good choice for lower light conditions. It also comes with a lifetime warranty. 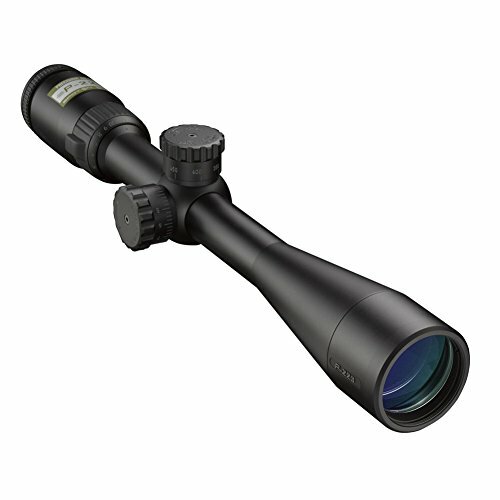 Overview: This Nikon riflescope comes with a lifetime warranty and guarantees performance, durability and precision. It offers fully multicoated lenses that let in 98% of available light. This scope has an eye relief of 3.6 inches and is both waterproof and fog proof for good images even in difficult-to-see conditions. The quick-focus eyepiece and BDC reticle is designed for precision. This scope can be used with Nikon’s Spot on Ballistic Match Technology. 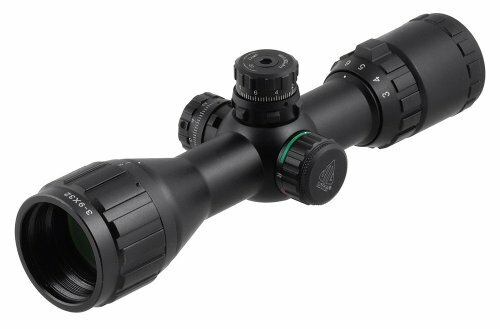 Overview: This scope is designed with Leupold’s Proprietary nitrogen sealing process, making it a great choice for lifelong durability and ruggedness. It is fully waterproof and fog proof. The scope has fully multicoated lens to give you extreme clarity from edge to edge, even in low light. 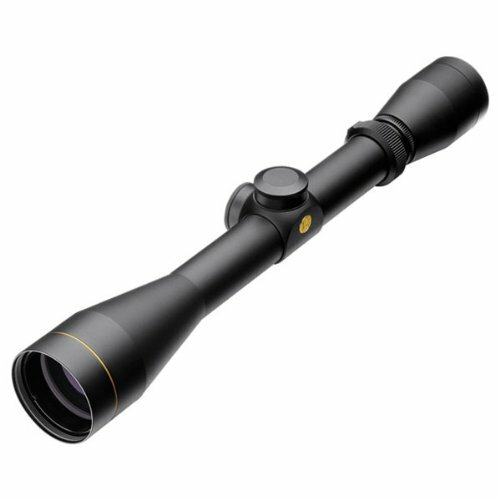 The Leupold Riflescope comes with 1/4 MOA precision adjustments and has a generous eye relief. It comes with a fast-focus eyepiece. This scope comes with a versatile 3:1 zoom ratio erector system, making it a great scope for a multitude of situations. 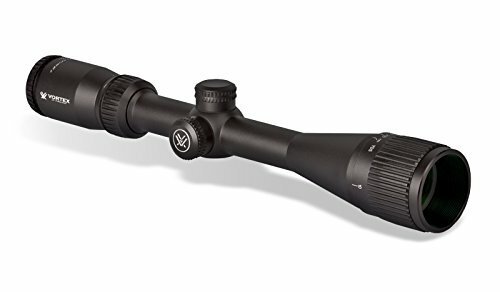 Overview: This Vortex Strike Eagle riflescope allows for speed and versatility and is a good choice for both tactical shooting, as well as hunting. The illuminated reticle features a centered halo for quickly finding your target. This scope is designed with a single-piece 30mm tube for better alignment and strength. The Strike Eagle comes with fully multicoated lenses for better image quality. This scope is built to be rugged and waterproof and comes with an eye relief of 3.5 inches. It is designed with max MOA adjustments of 140 for elevation and windage. Overview: This UTG riflescope is designed with a mil-dot reticle for range-estimation and performance. It comes with zero lockable and resettable turrets and 1/4 MOA adjustments. This riflescope is sealed to be rainproof and fog proof and can handle shock, as well, with it’s True Strength design. For easier use in low light conditions, this scope is designed with side wheel illumination for quick and easy access for reticle light. This scope features a parallax free view from 3 yards to infinity. 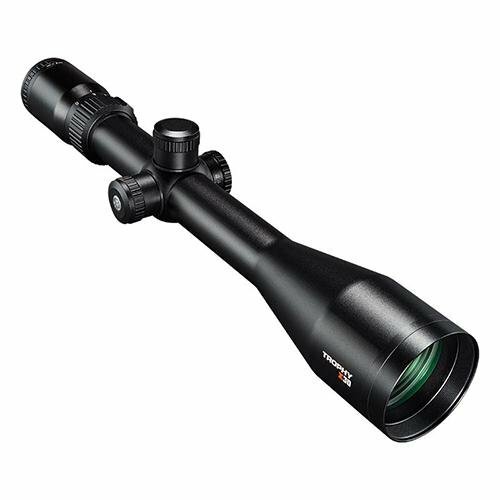 Overview: This Bushnell riflescope features multicoated lenses for an optimal view in dusk or dawn, helping you to achieve success at those critical moments of your hunt. It comes with 1/4 MOA fingertip adjustments. It is 100% waterproof and fog proof and offers 3.3 inches of eye relief. The one-piece tube is built to be rugged and shockproof. The scope features a fast-focus eyepiece. 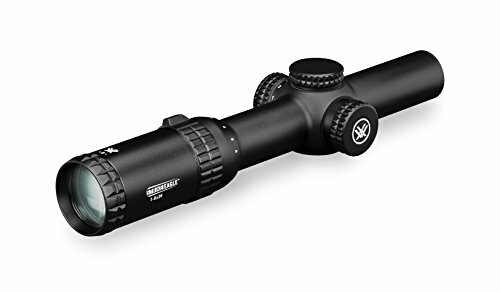 This all around big-game scope is a good choice for a cheap riflescope that is durable and reliable. Kaci is an avid camper, tolerator of Trey, and expert at staying warm and cooking a great meal, regardless of the location. Valuable information about the scopes. We need to get my husband one and your list helped a ton. Thanks! Thanks Kaci for the list. We ended up getting the Bushnell since it’s a well known brand and has a good warranty. I’ve seen lots of good reviews on it too. Thanks! Our website contains affiliate links, which means we may receive compensation if you purchase from websites we link to. For example, as an Amazon Associate we earn from qualifying purchases. Participation in these programs helps us keep the site up, and to continue to help you find great products. Our editorial process is in no way impacted by partnerships.